TOW HOOK, 42-06 JEEP CJ & WRANGLER, CHROME (NOT SOLD AS PAIR) - Jeep Parts Guy - All the Jeep Parts You Need! A tow hook is a great addition to any rig and gives a solid anchor point for hooking up cables and chains. Don’t risk damaging your rig by just throwing a hook through any frame hole or suspension mount. This tow hook features a chrome throwing a hook through any frame hole or suspension mount. 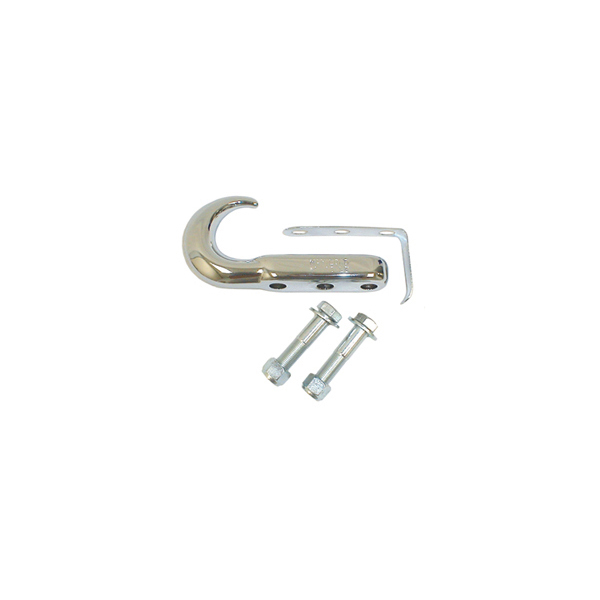 This tow hook features a chrome plated finish. Includes mounting hardware. Sold individually.